-A good looking, elite business man will meet an average looking, quirky, lower class girl. -He is bored and dissatisfied with his life. Also, he's snobbish and kind of a jerk. -She is usually sweet and spunky with many friends and yet is constantly being overlooked professionally and can't get ahead OR she just isn't that smart. Also, she is almost always the daughter of a single parent. -The two of them become connected in some random, improbable way and then are thrown together continually. This leads to him thinking about her a lot. -She will never know who he is at first, though it seems that everyone else in the city does. -He's never met anyone like her, but he can't quite justify his obsession because of her lower class status. -One of them eventually becomes lost in the woods, gets very ill or injured and the other has to rescue and/or nurse them back to health. This is when they realize how deeply they have come to care for each other. -Cheesy, overly dramatic theme music will swell at every possible opportunity. Theme music is often a mix of both English and Korean and the English part will get hopelessly stuck in your head. -There will be randomly and usually awkwardly inserted English into everyday conversation. Especially if the character is supposed to be cool. -He will risk losing his inheritance and/or position due to his being in love with the poor girl. -Just at the moment when he has decided to risk it all and she has figured out that she loves him too a misunderstanding with occur that will throw everything for a loop. That, or the dude will get hit by a car, sink into a coma and then have amnesia. But my absolute favorite characteristic of the Korean dramedy is the lack of physical intimacy. The climax of the series may be a single kiss. You might see some dramatic hugging and hand holding or *gasp* a piggy back ride. Anything more intimate is reserved for after marriage and is not shown. What is interesting about this is that I find the lack of intimacy just as satisfying or even more so than the over sexualized American dramedy. This combined with the awesomeness above is what makes each series, however cheesy, highly enjoyable. If you are scraping the bottom of the Netflix barrel, enjoy romantic drama/comedy and don't mind subtitles, definitely check one out. 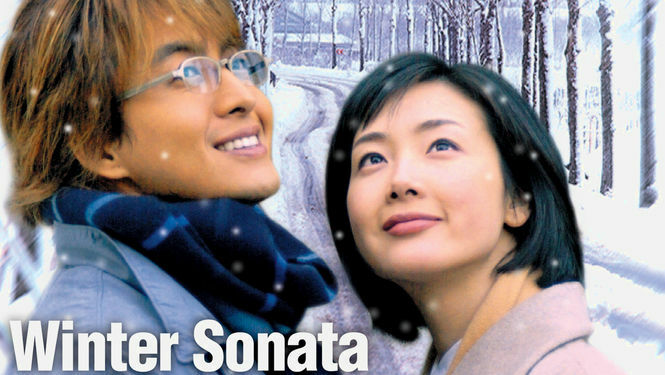 Here are my favorites: Lie To Me, Playful Kiss, Tamra The Island, Boys Over Flowers, My Princess, Secret Garden and Winter Sonata. I'm currently watching Protect the Boss. Don't be surprised if you become obsessed, too. HAHAHA! Love your reviews and I have been there scrapping the bottom of Netflix. Love how you turned it around to be a enjoyable blog post. I AGREE with everything you said regarding Korean dramedies. I can't get enough of them. My friends and family think I'm nuts, but I don't care...this kind of entertainment harkens back to early 60s Doris Day and James Garner movies, but better! I love that there is always a lesson to learn, a moral of the story and redemption. It's also been a fascinating way to discover another culture. Can you think of an American series, on TV or web, that is this clean and fun? If you can, please share. btw, I'm going to name my next dog, Kimchi. Oh, and my favorite Kd is Pasta...it was a tough choice. I laughed reading this entire article because of how true it is. Actually, I haven't even fully watched ONE Korean Dramedy, however, my wife started to watch one on Netflix called "Fated to Love You" and it's EXACTLY as you described it...it's so quirky and over dramatic and weird and lame/fruity...but even after saying ALL that, I still found myself strangely intrigued and glued to the tv whenever she put it in on...I freeze even now trying to explain myself but I don't know how. Would any of my guy friends understand? No, and they'd probably disown me as a friend if they knew LOL. Anyway, I enjoyed your article and I'm sure we'll be watching more dramadies as my wife finds them. A colleague at work recently got me hooked on them ... HOOKED!! Have been up all hours and breezed through 3 already (and it has only been 2 weeks)! !